Fabric weave backing, allowing for a more comfortable experience. The Humanscale World Chair model offers sublime comfort when sitting for extended periods of time. 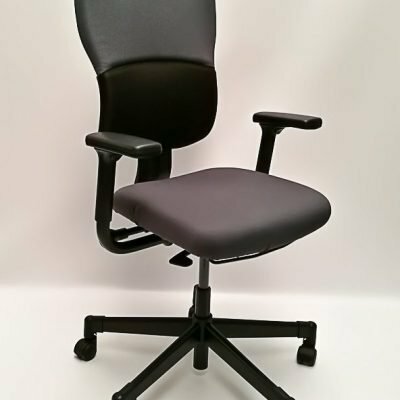 The non stretch mesh allows for extra comfort, and also features a self adjusting backrest. 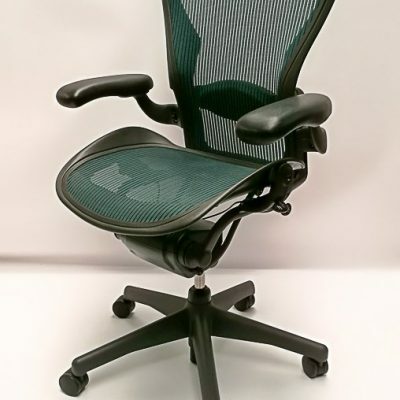 It has an integrated lumbar support, so there is no need to adjust any settings. It also features a woven fabric edge. This chair is in exceptional condition. To stay up to date with all our special offers and news, follow us on Facebook.